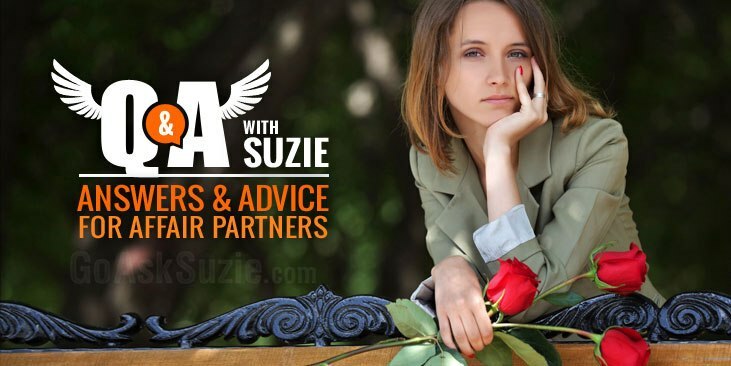 What follows is a collection of some of the most frequently asked (and most important) questions I’ve gotten from affair partners over the years. You’ve probably asked yourself at least a few of these questions, and I’m here to help you answer them. Hopefully, you’ll read some words of insight and encouragement to help ease your suffering and confusion, and better understand your own situation. You can either start with the first question and read straight through this article, or you can use the following links to go directly to specific questions. Question #1: What do you do when you find yourself in love with a married man? Question #2: What if this person is my soul mate? Question #3: Can you help me get past these feelings? Question #4: I would love to end it. What should I do? Question #5: Why should I move over and let his wife win? Question #6: What if he’s telling the truth about leaving his wife? Question #7: Why do I keep going back? Question #8: Why didn’t I just walk away when I found out he was married? Question #9: Why does this man make me feel so weak? Question #10: Does not ending this affair make me a bad person? Question #11: What if I never meet anyone who makes me feel like this again? Question #12: Isn’t getting to see him occasionally better than nothing? Question #13: Why is the connection and energy between us so overpowering? Question #14: How could this be wrong? Question #15: Shouldn’t I talk to him and explain why I ended it? Question #16: What can I do to stop running back to him? Question #17: Isn’t it possible that his situation is different? Question #18: How did I let this happen to me? Question #19: How could life keep us apart when we love each other so much? What Do You Do When You Find Yourself in Love with a Married Man?